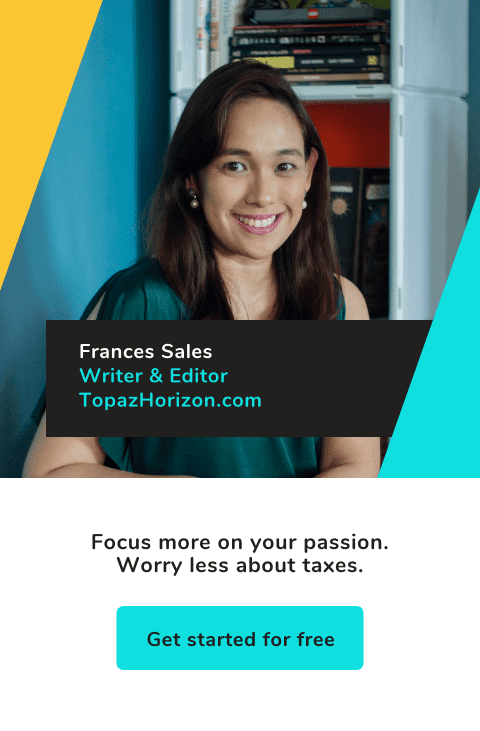 TOPAZ HORIZON: My blog talk at Powerbooks, plus join my next blog workshop! 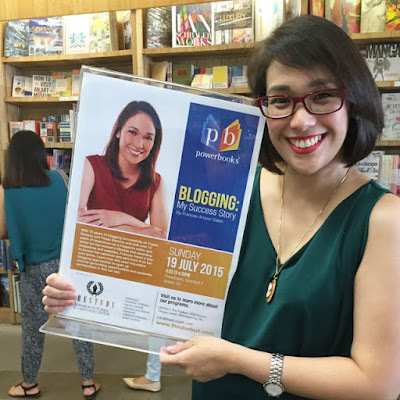 My blog talk at Powerbooks, plus join my next blog workshop! 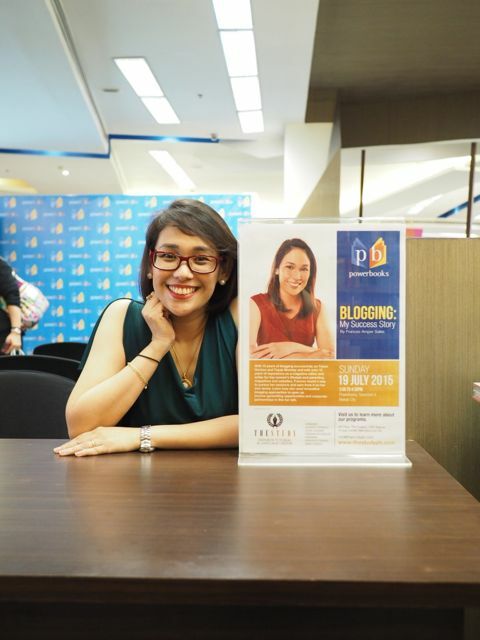 I'm so excited to report that my blog talk at Powerbooks Greenbelt that was done upon the invitation of National Book Store and The Study by Enderun was a SUCCESS! I was so nervous because it was a public space. But my husband, Vince, who was there, said despite a few foibles, I did well! Hooray! is seriously considering becoming a blogger. If you missed my talk, Jennilyn of the wonderful book blog Rurouni Jenni Reads has a detailed recap. If you read her post, it's almost like you attended my talk! I'm usually early for my workshops because I anticipate problems. For example, for the blog talk, I had brought a Macbook and their projector can only work with a PC. Buti na lang Vince was there because he told me to save my Keynote presentation as a PowerPoint one and then save that in a USB stick, which thankfully saved the day. Thanks, Vince! 2. Mingle with the attendees. When I'm early, I get to chat with the participants. We get comfy with each other, which really helps make the workshop successful because a friendly atmosphere is established. They will actively participate! Plus, chatting with everyone informally helps me understand what they want to learn, and this is a big deal when I'm finally talking in front of everybody. I hate to confess that I arrived very late for one workshop and I really felt the difference. The participants were annoyed, I was rushed, and the workshop just didn't start off well. I'm never repeating this mistake! While I don't yet have the budget to decorate the venue of my workshops, I've decided that I need to put something of me or my blogs in the space where I'm working. Scented candles will help, especially because one venue smelled bad! I liked it when National Book Store sent me beautiful orange Leuchtturm journals for my participants—orange is the color of Topaz Horizon and writing is my work. So me! Oh yes. What a mistake that I keep forgetting to bring water to my workshops! When I'm talking non-stop, my mouth just dries up. And when my mouth dries up, so does my brain! 5. Put notes on note cards! And write in big letters! And use a big, black marker!!! Now that I know all that, I'm pretty sure my future workshops will be much, much better! Want to know more about making blogging a business? Then you're in luck! I have another blog workshop called "The Next Level Blogger" coming up on Aug. 27, Thursday, from 10am to 1pm at The Podium, Ortigas Center. To know more about my fantabulous blogging workshop, click here. Slots are limited since I really want to interact with my participants. Register before Aug. 15 to get the early-bird rate of P1,500. After that date, it's P2,000 na. Oh, and I know the curriculum says I'll be talking about building your blog and making it look pretty, but I'm focusing more on making your blog earn money. How to make a media kit, how to work with brands, how to pitch to brands—basically stuff that established bloggers want to know. 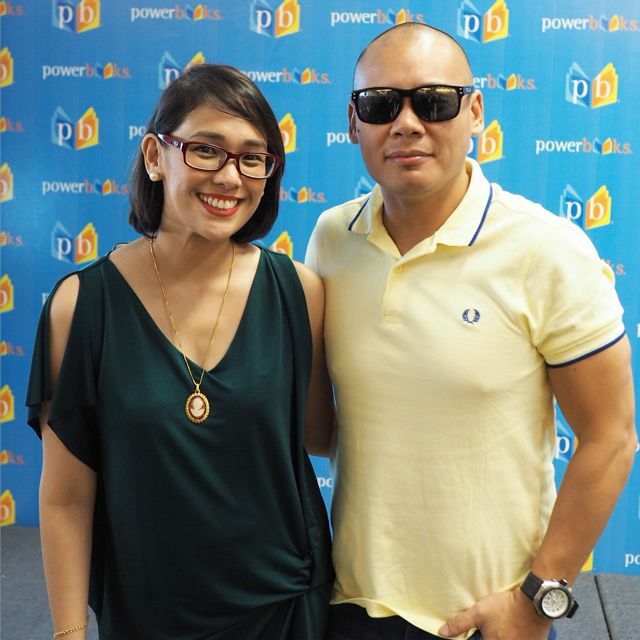 That's why my workshop is called, "The Next Level Blogger," because we're leveling up! 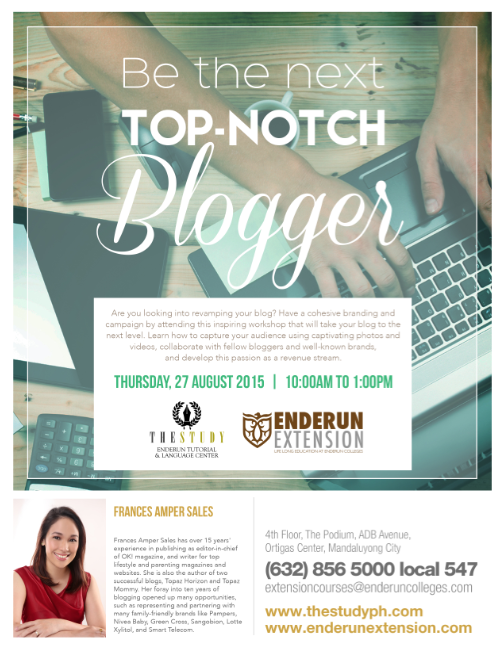 I hope to see you at my blogging workshop at The Study at Podium Mall in Ortigas Center! 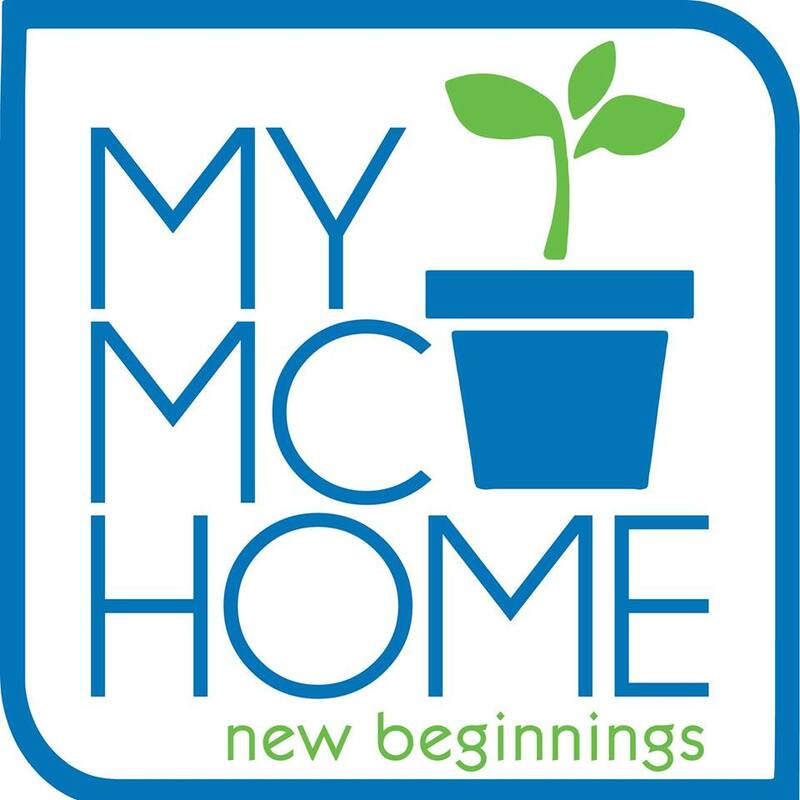 Please share with your blogger friends!